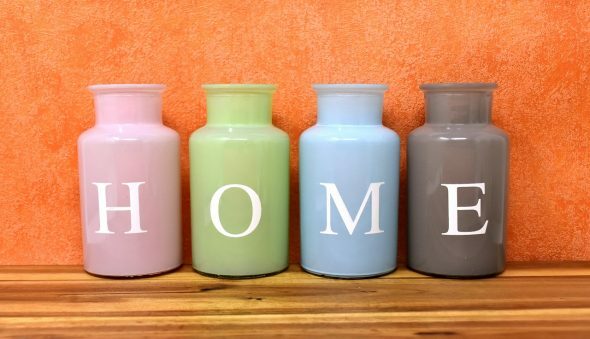 Having a home can be a great feeling, but maintaining it is often hard work. It can be overwhelming thinking about the many things that need monitoring, cleaning, and replacing, so staying on top of things is key. When a house isn’t well-maintained, it leaves it vulnerable to things getting damaged and it deteriorating quicker. Regarding your interior, poor maintenance could likewise result in you having to replace various items in your home more often than you’d like to. In order to avoid such things from happening, this article will look at five key aspects of your home that should always be well-maintained. Buying new sofas can be relatively expensive and out of your budget, so maintaining the ones that you have is important. There are many ways to maintain your sofas but how you do so depends on the material of the ones you presently have. One general tip for your maintaining your sofa is to protect your fabric. One of the best ways to do this is by treating spills as quickly as possible. When most upholstery fabric undergoes the finishing process, it’s usually treated with soil or water repellant. However, you can add additional fabric protectors which can help keep spills from being absorbed into the upholstery fibers right away. You should note that using fabric protectors doesn’t mean you shouldn’t attend to spills as soon as they happen. Following manufacturers, instructions for maintenance and care is also important if you want it to last over a long period. An additional tip if you happen to have cushions on your sofa is to turn them over frequently and rotate them between sofas so that there’s an even distribution of wear and tear. As a result of constant traffic in your home, your rugs can quickly become dingy. To prevent this from happening, it is imperative that you maintain them to the best of your ability. When maintaining your rugs or carpet, you should first start with the basics. For one, limiting how much dirt gets on them in the first place is a good place to start. If you’ve ever been to a friend’s house and they constantly nag you about not wearing shoes on the rug, this is likely why. If you don’t want to become the shoe police in your home, you could alternatively consider placing sturdy doormats at all entries. Some options for deep-cleaning rugs or carpet is to either have it cleaned by a professional using steam cleaning or do it yourself with a rented extraction machine. If you do decide to DIY, remember not to use too much cleaner and not to leave the carpet or rug too wet. Routine care for synthetic, plant and wool carpets include vacuuming and using a blot-technique as well as soapy water to remove stains. However, you should remember to follow the manufacturers directions before cleaning to avoid destroying the rug in any way. One of the first things people see on the outside of your house aside from the structure and your lawn are your windows. To make a good first impression, keeping your windows neat and clean is a must. One of the most common ways of maintaining your windows is by cleaning them on a regular basis. If you have wooden windows, you should wipe them down with a damp cloth to help reduce dust and dirt but be careful not to use too much water to avoid rot. If you have vinyl and aluminum framed windows, you should clean them by using a mild detergent and soft scrubbing brush. You can then go on to use a glass cleaner to give it an added sparkle and shine. Another way to maintain your windows is to inspect them on a regular basis. You should be checking for the condition of the window frame and sash as well as gaps between the window casing and the wall. Regarding sealing, you should replace all worn out rubber seals to help reduce air and water leaks as well as keep the window in place. Also, consider repainting the frames every three to four years in addition to checking for any damages to your windows. If you find any cracks in your windows when doing an inspection, it may be best to replace them before the window deteriorates altogether. You could use a window replacement company such as US Window & Door, since they specialize in installing windows. The walls of your home make a huge difference in how attractive your house appears, so ensuring they’re well-maintained is essential. One way to do this is by cleaning them regularly to get rid of any stains or marks. Tips for cleaning your walls include dusting them before washing them by putting the brush attachment on your vacuum and running it over the walls. You can then use a liquid cleaner to remove any stains and smudges but start with water to avoid damage. If water doesn’t work, you can then try adding detergent and then ammonia, vinegar, and baking soda solution if you have no luck with the detergent. Another wall-maintenance tip is to repaint your walls when necessary and address any leaks that may destroy the walls and cause damp area. Maintaining your home often takes a conscious effort, but it’s necessary if you want to save more than you spend on your home over the years. To make it a little easier, you can break down all of the things in your home that need to be maintained on a regular basis and allocate days to them as opposed to trying o do everything in one day. Aside from the ones mentioned above, there are many aspects of your home that need maintenance. Hopefully, by finding the time to do it, you’ll reap the benefits when you look at your house a few years down the line.